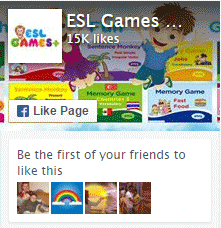 We use Ads to support the smooth and free functioning of ESL Games Plus. These ads are supplied by our partners who do their best to ensure they are relevant. In an ideal world, we would remove all ads from our site. However, that would not be sustainable. Luckily we found a solution for those who can't stand ads. For a small fee, you can choose one of the above subscription plans. Every time you log into your account, all ads will disappear from the site like magic. There you go, choose a paid plan, subscribe and watch it happen.